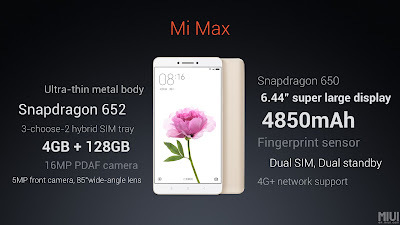 Xiaomi latest smartphone is a gigantic, even bigger than its Mi Note and Mi Note Pro phablets. The new Mi Max is the Chinese company largest phone to date with a whopping 6.44-inch Full HD display and a massive 4,850 mAh battery, also the largest ever on any Xiaomi smartphone. 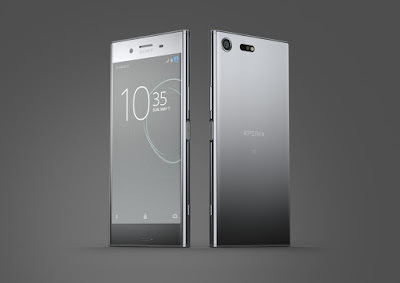 The huge 6.44-inch display reminds me of the Sony Xperia Z Ultra from 2013 which also had a 6.44-inch 1080p display. 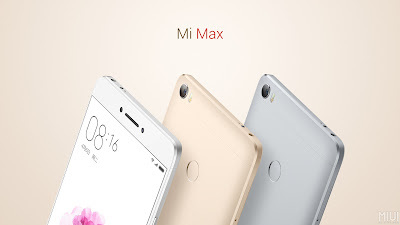 The Mi Max features a 7.5 mm ultra-thin metal body with 2.5D curved glass display and rounded back and also weighs 203 grams. The phablet is powered by a Qualcomm Snapdragon 650 or 652 processor, paired with 3 GB or 4 GB of RAM and 32 GB or 64 GB as well as up to 128 GB of internal storage. Xiaomi's Mi Max comes with a rear-mounted fingerprint scanner for security and handy unlocking, as it's also becoming a must-have feature now. On the back, you'll find a 16 MP snapper with an f/2.0 aperture, PDAF (Phase Dectection Autofocus) and aided by a dual-tone LED flash; while the front is equipped with a 5 MP selfie camera with an f/2.0 aperture and an 85-degree wide-angle lens. Other features included a 6.44-inch 1080p display with 342 ppi, Bluetooth 4.2, 4G+ network support, infrared sensor and a non-removable 4,850 mAh battery. In addition, the device will support dual-SIM. 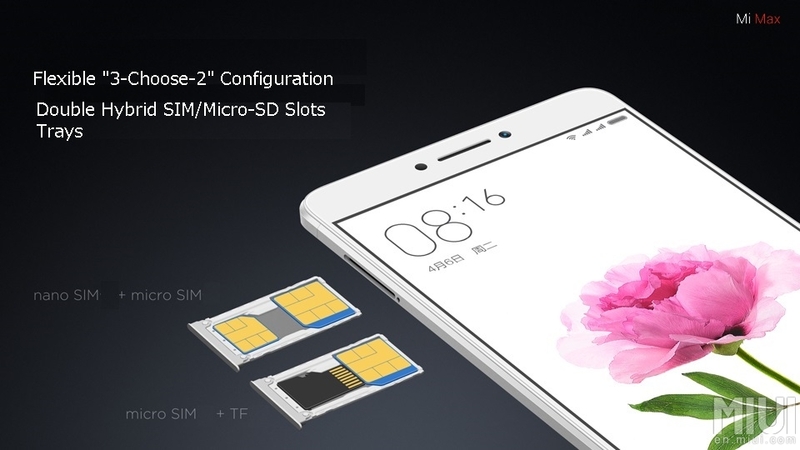 The SIM tray comes with a flexible "3-Choose-2" configuration, which either supports two SIM cards (1 nano + 1 micro SIM) or one micro SIM accompanied by one microSD card slot that supports up to 128 GB cards. Last but not least, the price. 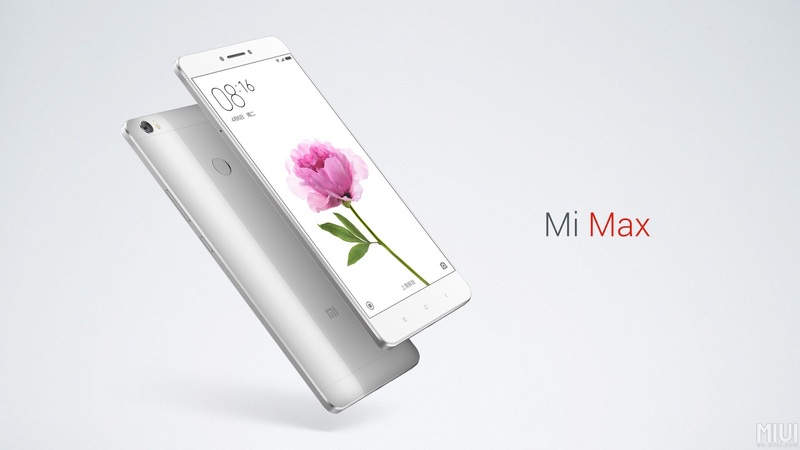 The base model with 3 GB of RAM, 32 GB of internal storage and Snapdragon 650 will priced at 1,499 Yuan (about RM925), while the 64 GB version with Snapdragon 652 will costs you 1,699 Yuan (about RM1,050). 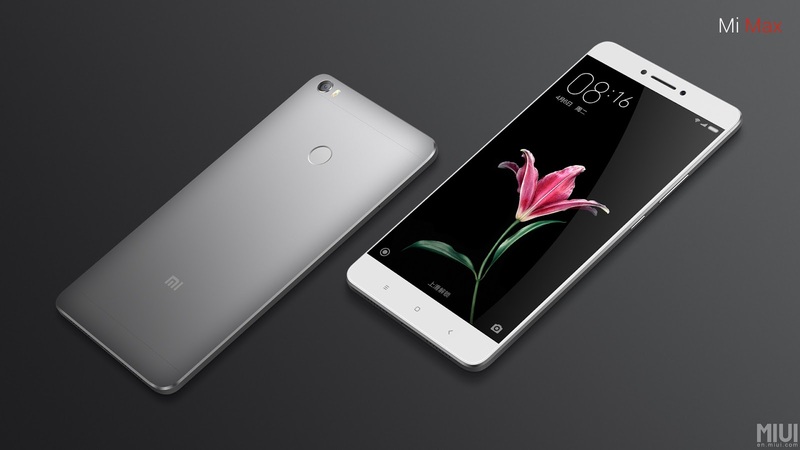 The highest-end variant, will be retail for 1,999 Yuan (about RM1,234), upgraded the RAM to 4 GB and the on-board storage to 128 GB. The Mi Max will be available in Silver, Gold and Dark Grey. 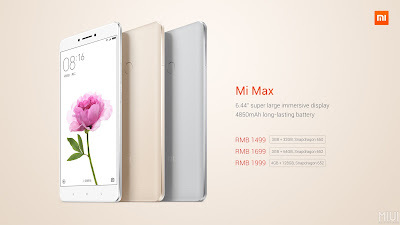 It's now available for pre-order in China and will go on sales in China next week. Unfortunately, there's no word on international release yet.